Does your child struggle with learning to read? I am happy to have an expert with helpful advice for just that today. Dana Stahl, M.Ed. grew up with learning disabilities and became a learning specialist to help children with learning issues reach their social-emotional and academic potential. Stahl’s practice, Educational Alternatives, LLC, focuses on educational advice, advocacy, and school placements. She has also just authored a new book, The ABCs of Learning Issues, (affiliate link below) and I am so excited to have here share with us some practical reading decoding strategies that may help you child learn to read more successfully. What Happens When Learning to Read is a Continual Struggle for Your Child? As our children grow, we marvel at their ability to develop from one stage to another. For the most part they move from crawling to walking to running in the blink of an eye. When it comes to the development of reading skills however, some children struggle to sound out words. 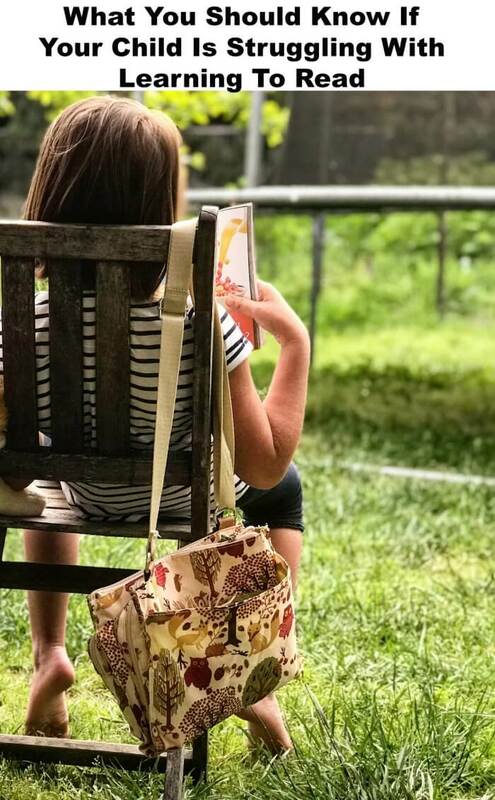 For these children – and their parents – seemingly effortless development is replaced by the continual struggle with decoding skills, which adversely affects reading rate and comprehension. My book, The ABCs of Learning Issues, explores decoding skills as one of the 24 most commonly observed learning issues in children. The following excerpt defines this specific issue and provides helpful reading decoding strategies for both parents and professionals. Decoding is the practice of using various reading skills to translate written words on a page into sounds that are read aloud. When readers decode, they sound out words by pronouncing their parts and then joining those parts together to form cohesive words. Students who struggle with decoding have difficulty sounding out unfamiliar words and reading with expression. Reading rate, accuracy, and fluency are often underdeveloped. People with decoding issues are usually avoidant readers who struggle with sounding words out, reading out loud with accuracy and reading with expression. Reading comprehension is often comprised due to gaps in accuracy and fluency. They are unable to sound out unfamiliar words. They struggle with syllabication rules. The reading rate is extremely slow. Reading accuracy is reduced through omissions, additions, and mispronunciations of words. Avoid round robin approach to reading novels. Allow students to raise their hand and volunteer when the class is reading out loud. Do not call upon a student who is unprepared to read out loud. Allow students to prepare ahead of time by telling them in advance that they will be responsible to read a particular section. Take turns reading aloud with your child. Exaggerate reading with expression to facilitate varying voices for different characters. Read comic books, magazines, and plays to increase decoding skills and reading rate and to practice out loud with expression. Listen to books on tape while simultaneously reading the book. Bridging the gap between home and school and promoting a common language between parents and educators is instrumental in helping every child – regardless of their disability – reach their full academic and social-emotional potential. If you found Dana Stahl’s advice to be encouraging, you can learn even more about reading decoding strategies in her book, The ABCs of Learning Issues, which you can pick up at your local book store or on amazon. Have you ever heard of reading decoding strategies before? Do you think this will be helpful in helping your child learn to read? Hi Dana. First time here, I like the tips you shared here. Many parents have this struggle of teaching their kids to read. I remember when my kids were a preschooler. It was really a struggle. You must have long patience.